Thread Type: M10, M12, G 1", G 1/4", G 3/4", NPT, etc..
Transport Package: 1 PC One PE Bag, 15 Kgs One Carton. Processing Method CNC Milling, CNC Turning, Turning-Milling Machining, Micro Machining, Grinding, Boring, Tapping. Material Stainless Steel, Alloy Steel, Carbon Steel, Free-cutting Steel, Brass, Copper, Aluminum, POM, PTFE. Finish Treatment Polishing, Sand Blasting, Anodizing, Zinc Plating, Nickel Plating, Blackening, QPQ, Painting, etc..
Tech. Standard ANSI, ASTM, DIN, JIS, BS, GB, ISO, etc.. Application Medical, Aerospace, Millitary, Instrument, Optics, Food Equipment, AUTO Parts, Furniture, etc.. 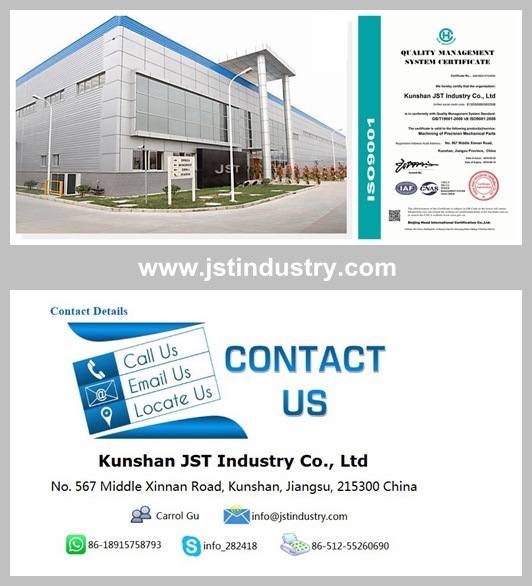 Precision Machining is the most important sector in JST Industry, we have been a trusted manufacturing supplier in this field for over 15 years. We have built an impeccable reputation on quality, customer service and utilizing state-of-the-art equipment. Our expertise has made us the Best in Quality and Innovation. Milling machine, Drilling machine, Centerless Grinding machine, External Cylindrical Grinding machine, etc. Mitutoyo CMM and Ultrasonic Cleaner. Q1: Are you a trading company or a manufacturer? Q2: How long is your delivery time? Normally, the samples delivery is 10-15 days and the lead time for the official order is 30-45 days. Q3: How long will it take to quote the RFQs? Normally, it will take 2-3 days. Q4: Do you provide samples? Yes, the samples will be free if Â the cost is not too high. Q5: Which countries are your target markets? America, Canada, Europe, Australia and New Zealand. Q6: Do you have experience of doing business with overseas customers? with the standard of ANSI, DIN, ISO, BS, JIS, etc..
Q7: Do you have reference customers? Yes, we have been appointed as the supplier of Parker(USA) Â since 2012. 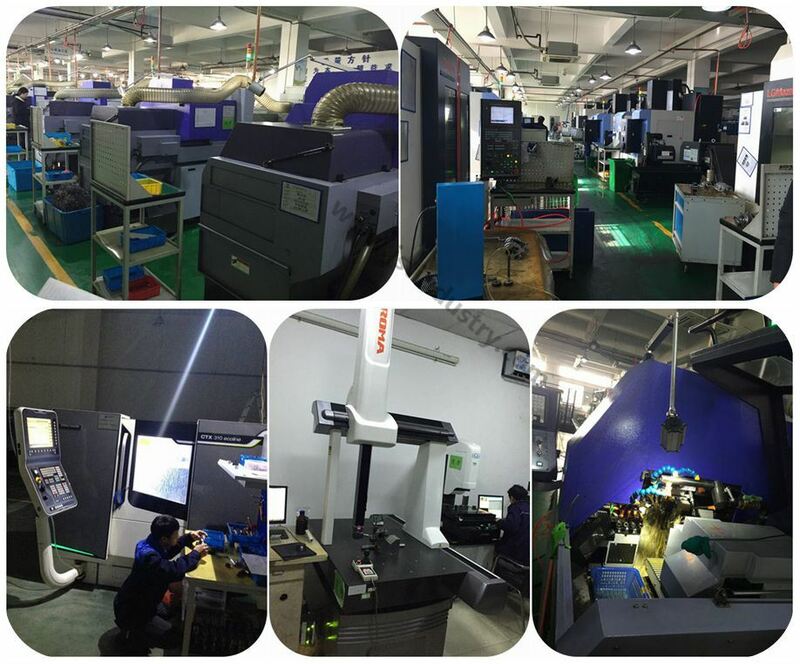 "Supply the top quality precision machined parts" is our management philosophy, ON TIME and EVERYTIME.